Today Chornobyl is a ghost town that welcomes tourists. It may be a macabre place to visit but the area has become hallowed ground, where people come to witness and to remember. It looks like an MP3 player, but the device in our tour guide's hand monitors radiation. The readout on the dosimeter’s screen changes rapidly, indicating the level of danger. Other than its beeps, my footsteps are the only sounds I hear at the site of the world’s worst atomic disaster: Chornobyl, Ukraine. Twenty-five years after the nuclear genie escaped, the unseen danger in this modern ghost town remains. I look at the dosimeter again. It reads 1,800. A reading of 50 is considered normal. 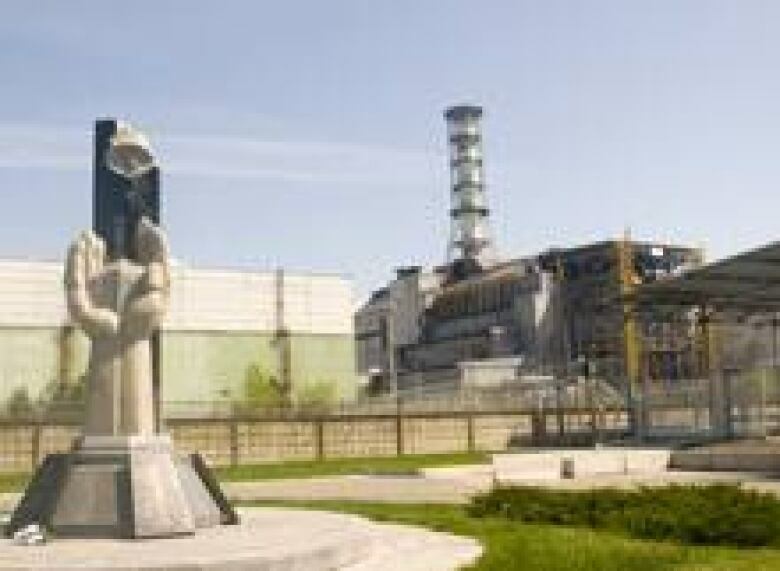 It was on April 26, 1986, that Reactor No. 4 at the Chornobyl Nuclear Power Plant, in what was then the Soviet Union, exploded. During an early morning test something went wrong. Technicians tried to stop the process but were too late — the reactor blew apart, shooting radioactive debris into the night sky. Winds carried radioactive fallout over much of Europe. Ultimately, hundreds of thousands of people were forced to leave their homes. Today Chornobyl is a ghost town that welcomes tourists. It may be a macabre place to visit, but is it any different than the sites of tragedies like Auschwitz or Ground Zero? Chornobyl has become hallowed ground where people come to witness and to remember. It was a sunny spring morning in Kiev, Ukraine's capital, when I hopped into a dented van that took me to the empty city. It takes about two hours to cover the 125-kilometre journey to Chornobyl. Before reaching the site of the disaster we stop at a large barrier, controlled by dour soldiers. After a quick check, we proceed into the sinisterly named Zone of Alienation. It's inside a bland government building where I first meet Dennis Zaburin, official tour guide. He doesn’t smile very much and I wonder if it's because he doesn’t like his job. I doubt I would. In a large room filled with maps and photographs of the disaster, Dennis launches into a short presentation about Chornobyl's history and what we can expect. We're required to sign a release that contains a long list of rules: "No drugs. No alcohol. No souvenirs. No picnics." The tour starts at what Dennis calls the vehicle museum. In reality it’s not much more than a couple military vehicles parked in a field. Dennis places his radiation monitor a few centimetres from one of the vehicles. The reading skyrockets. 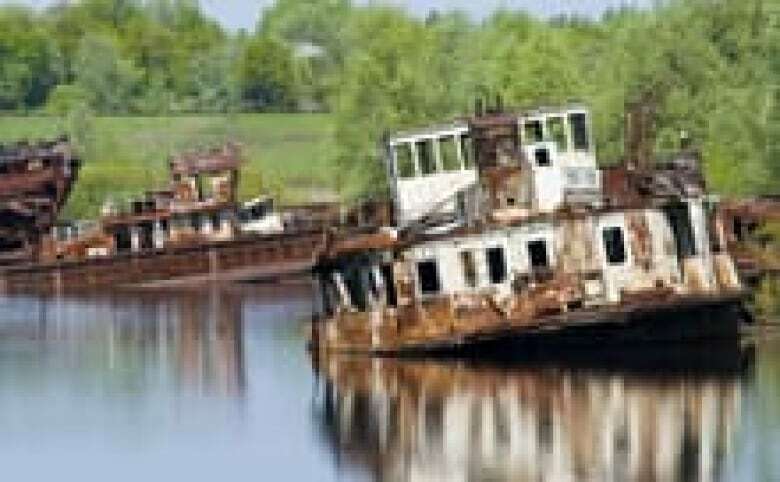 Our next stop is the ship graveyard where rusting boats lie partially submerged in the Pripyat River. Like the military vehicles, radiation made them far too dangerous to relocate. If not for the regulations forbidding it — not to mention the radioactivity — this would actually be a nice spot for a picnic. Our tour group is constantly commenting, questioning and posing for pictures. Near the Monument to the Firemen, however, we become quiet. So far we’ve seen only things that were affected by the Chornobyl disaster. The imposing sculpture captures anguished looks on the faces of the firefighters who were called to battle the blaze inside the plant, reminding visitors of the human costs. Down a deserted road, half-finished cooling towers and frozen construction cranes welcome us to the power plant itself. We pass stagnant cooling ponds and a rusting grid of electrical towers before reaching the heart of the disaster. It feels evil. Here is another memorial: The Monument to the Liquidators. After the disaster, the Soviets began an operation called "The Liquidation of the Chornobyl Accident." Over the days and years that followed the disaster, a group of scientists, civilians and soldiers worked to stabilize the site and clean up the atomic mess. They became known as the liquidators and their dangerous and deadly work saved countless lives. But they paid with their health and, in some cases, their lives. The Sarcophagus, a hastily built containment building, encloses the remains of Reactor No. 4. Built as a temporary solution, it is the only thing standing between tons of highly radioactive dust and the outside world. If the rickety structure were to collapse, clouds of radioactive debris would launch into the air, resulting in a second atomic disaster. While the plant has a powerful impact on visitors, the final part of the tour is the most chilling. We get to wander around Pripyat, the atomic power plant’s support city. It once had a population of about 50,000. Today it’s zero. Back in 1986, Soviet officials told residents that the evacuation was temporary and they should bring enough belongings for just a few days. As a result, most people left everything behind, unaware that they would never return. The remnants of 1980s Soviet life remain scattered everywhere. Pripyat lies abandoned, a surreal place where empty boulevards are lined with street lamps that never light. The only traffic is the occasional dump truck adorned with atomic warnings. Dennis tells us not to breathe as the trucks pass by, the dust could be dangerous. We roam freely through Pripyat's skeletons: A grocery store filled with rusting carts. A hotel waiting for visitors who will never come. Empty swimming pools and overgrown walkways that wind past faded signs heralding the achievements of a country that no longer exists. Chornobyl’s children must have been filled with excitement in the days before the disaster. A new amusement park was scheduled to open May 1, 1986. It never did. Instead of a place filled with the laughter of children, this amusement park is silent, a heartbreaking reminder of lives ripped apart. The big rotting Ferris wheel has become an icon. Over the past 25 years there has been a lot of looting and vandalism. Most of the buildings have been partially stripped, their windows broken, valuable bits taken and sold — despite the radioactivity — for salvage. Who knows what happened to the car parts, the cutlery, and the doorknobs? Are they slowly killing people in Kiev? Minsk? Moscow? It feels like the set of a zombie film, but the area around Chornobyl is not dead. It is undergoing renewal. Nature is returning. You see it everywhere: In the grass growing from cracks in the crumbling roads, or in the shrubs and trees that have found root in the contaminated soil. And people are slowly returning to the area, in the form of visitors like me. It may be centuries before the area around the Chornobyl Nuclear Power Plant is safe enough for habitation. 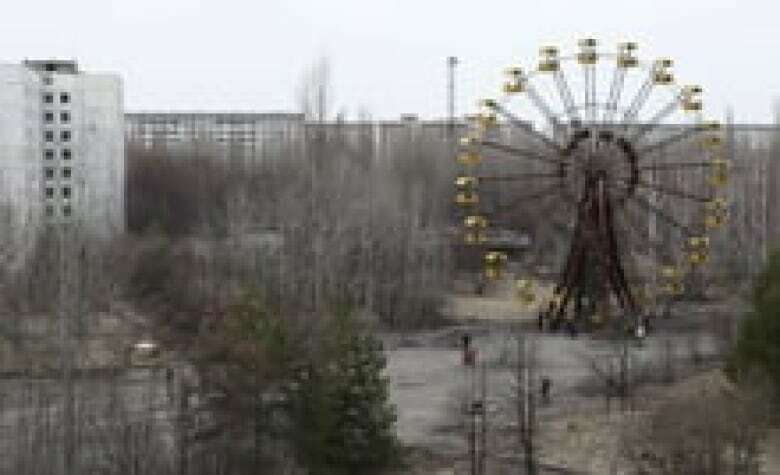 Until then, the site of the world's worst nuclear disaster has become one of the world’s most chilling tourist attractions. Doug Murray is a writer/photographer based in Calgary.